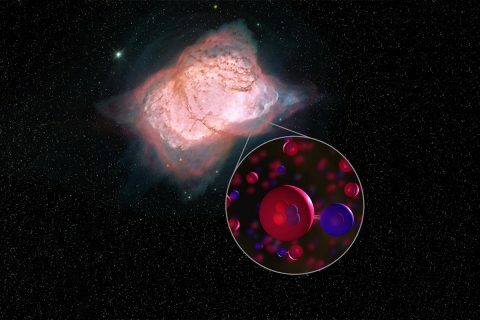 Washington, D.C. – NASA says the first type of molecule that ever formed in the universe has been detected in space for the first time, after decades of searching. 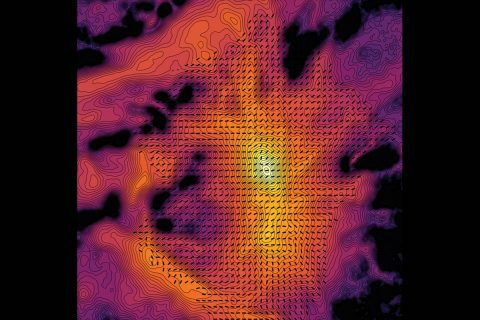 Scientists discovered its signature in our own galaxy using the world’s largest airborne observatory, NASA’s Stratospheric Observatory for Infrared Astronomy, or SOFIA, as the aircraft flew high above the Earth’s surface and pointed its sensitive instruments out into the cosmos. 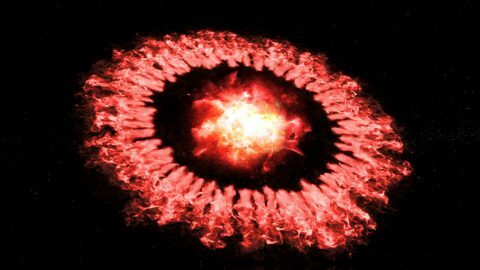 When the universe was still very young, only a few kinds of atoms existed. Scientists believe that around 100,000 years after the big bang, helium and hydrogen combined to make a molecule called helium hydride for the first time. 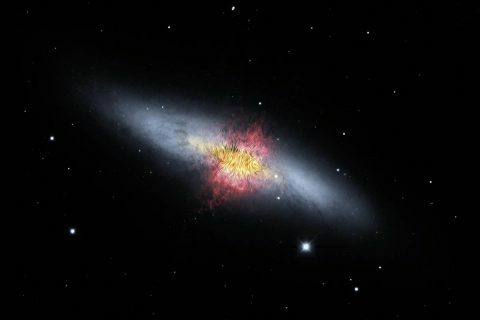 Pasadena, CA – The Cigar Galaxy (also known as M82) is famous for its extraordinary speed in making new stars, with stars being born 10 times faster than in the Milky Way. 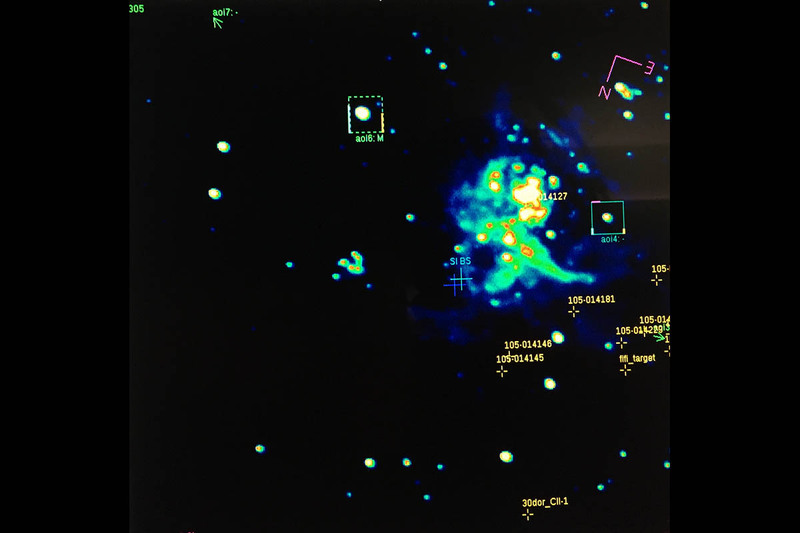 Now, data from the Stratospheric Observatory for Infrared Astronomy, or SOFIA, have been used to study this galaxy in greater detail, revealing how material that affects the evolution of galaxies may get into intergalactic space. Researchers found, for the first time, that the galactic wind flowing from the center of the Cigar Galaxy (M82) is aligned along a magnetic field and transports a very large mass of gas and dust – the equivalent mass of 50 million to 60 million Suns. Moffett Field, CA – The sun, like all stars, was born in a giant cold cloud of molecular gas and dust. 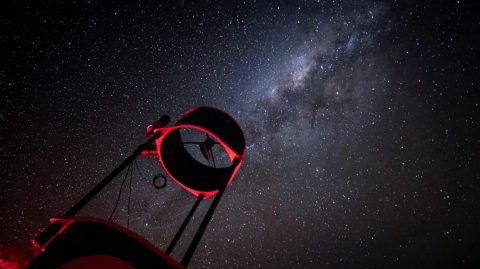 It may have had dozens or even hundreds of stellar siblings – a star cluster – but these early companions are now scattered throughout our Milky Way galaxy. 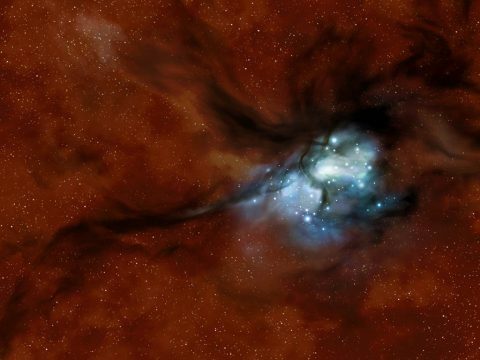 Although the remnants of this particular creation event have long since dispersed, the process of star birth continues today within our galaxy and beyond. Star clusters are conceived in the hearts of optically dark clouds where the early phases of formation have historically been hidden from view. Moffett Field, CA – To have a full picture of the lives of massive stars, researchers need to study them in all stages – from when they’re a mass of unformed gas and dust, to their often dynamic end-of-life explosions. 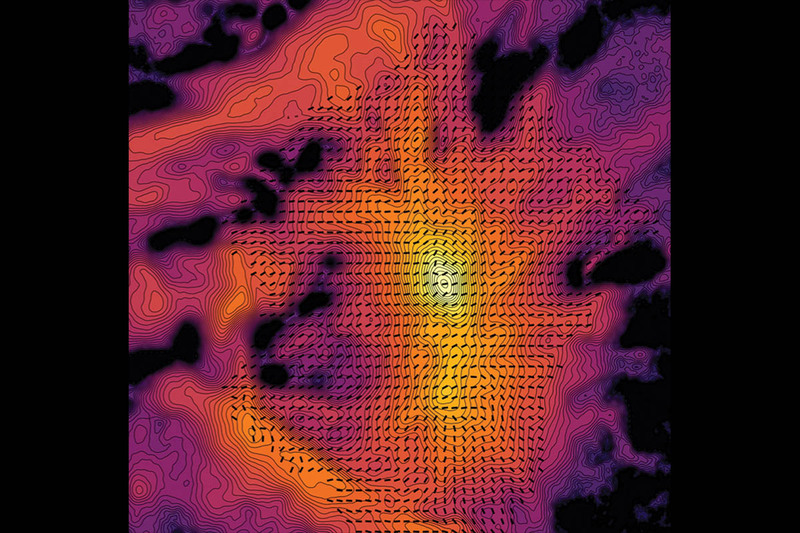 NASA’s flying telescope, the Stratospheric Observatory for Infrared Astronomy, or SOFIA, is particularly well-suited for studying the pre-natal stage of stellar development in star-forming regions, such as the Tarantula Nebula, a giant mass of gas and dust located within the Large Magellanic Cloud, or LMC. 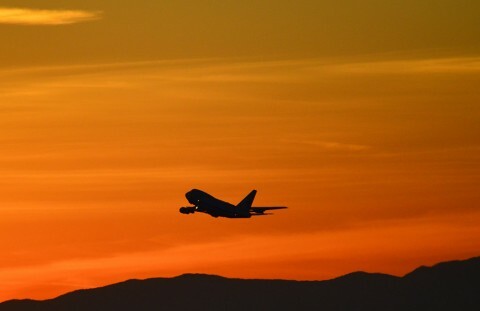 Moffett Field, CA – Researchers on the flying observatory SOFIA, the Stratospheric Observatory for Infrared Astronomy, are preparing for a two-minute opportunity to study the atmosphere of Neptune’s moon Triton as it casts a faint shadow on Earth’s surface. This is the first chance to investigate Triton’s atmosphere in 16 years. On October 5th, as Triton passes in front of a faraway star it will block the star’s light in an eclipse-like event called an occultation. 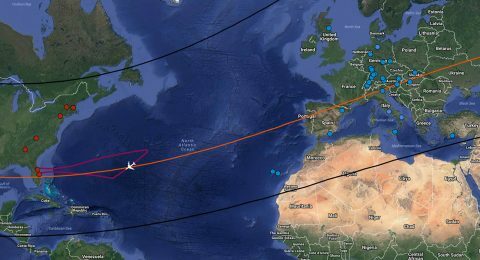 During the celestial alignment, the team aboard the specially equipped Boeing 747SP aircraft will make observations of the distant star’s light as it passes through Triton’s atmosphere. 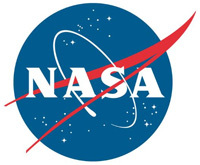 Moffett Field, CA – On July 10th, researchers using NASA’s Stratospheric Observatory for Infrared Astronomy, or SOFIA, will attempt to study the environment around a distant Kuiper Belt Object, 2014 MU69, which is the next flyby target for NASA’s New Horizons spacecraft. When New Horizons flies by it, MU69 will be the most distant object ever explored by a spacecraft, over a billion miles farther from our sun than Pluto. This ancient Kuiper Belt object is not well understood because it is faint, small (likely 12-25-mile (20-40-kilometer across, or possibly even smaller according to recent ground-based observations), and very far away (approximately 4.1 billion miles from Earth). Washington, D.C. – NASA’s New Horizons spacecraft doesn’t zoom past its next science target until New Year’s Day 2019, but the Kuiper Belt object, known as 2014 MU69, is already revealing surprises. Scientists have been sifting through data gathered from observing the object’s quick pass in front of a star – an astronomical event known as an occultation – on June 3rd. 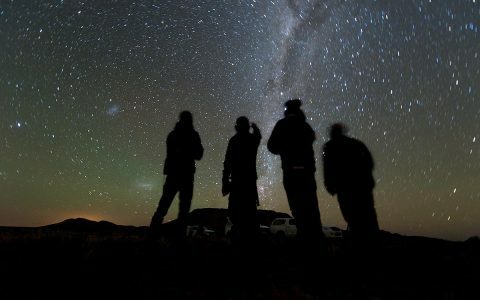 More than 50 mission team members and collaborators set up telescopes across South Africa and Argentina, along a predicted track of the narrow shadow of MU69 that the occultation would create on Earth’s surface, aiming to catch a two-second glimpse of the object’s shadow as it raced across the Earth.